I hope you had a lovely Easter. 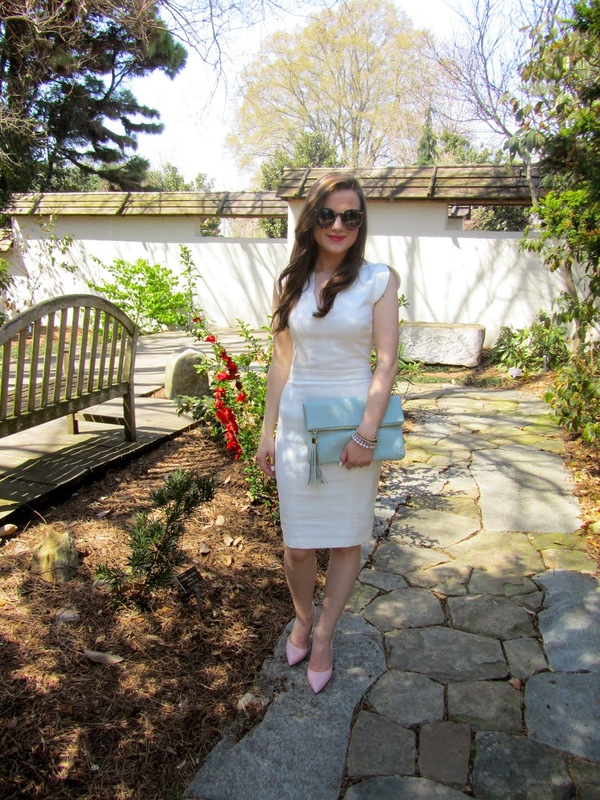 I wore this little white dress for Sunday service with my family. It was so nice to be with everyone for the day and relax a bit. Such a classy look! Love the added blue and pink details for Easter.